When people think of Weed Pro, they think of lawn care professionals that just simply maintain your yard to make it look nice for your family, neighbors, and friends. However, Weed Pro is much more than your average lawn care company. When you become a customer, you become a member of the Weed Pro family. 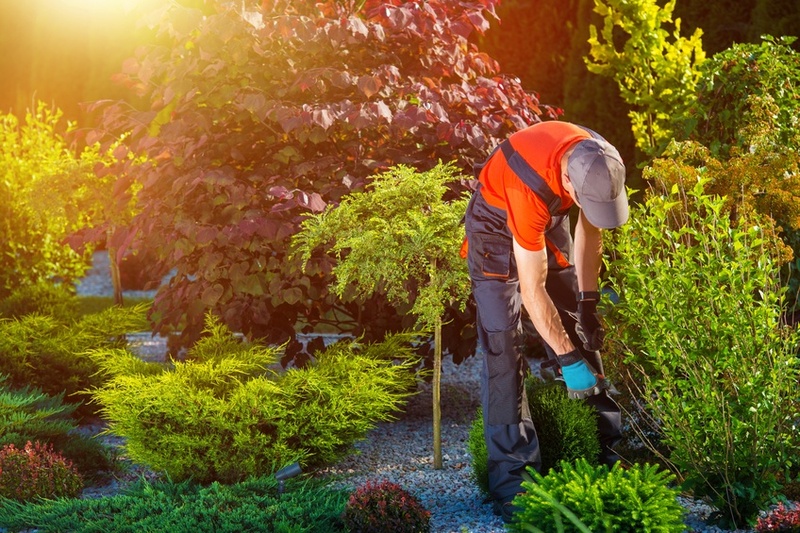 Our friendly lawn care technicians give you personalized service with fast results. They treat your lawn like their own and make sure you are involved every step of the way. Our customer service helps to make us stand out and many of our customers call in to our office to tell us more. In this week’s blog post, we will highlight the main points that makes Weed Pro much more than lawn care with quotes from our customers! We take the time to give the personal touch to everything we do to make sure your lawn looks great and you have a good experience with the company. “I am so happy I hired you guys! I was able to see Andy (my lawn care technician) do the application today and Andy took his time and did the work as if the yard was his own. I am very impressed!! I am SO happy that I will most likely keep you for next year instead of going back to doing it myself! I am pleased with the results and care that Andy took!” Mike V. from Brunswick tells our office. We want to make sure that not only you are receiving care and service from knowledgeable technicians, but you are knowledgeable and are involved about the process every step of the way. “I was very impressed with Todd (my lawn care technician) and his knowledge. He explained the aeration and over seeding process fully and advised me on what I needed to do to assist the process. If he is not your best and most knowledgeable employee, then I would like to meet that person. His expertise and dedication are the reason I am happy that I chose Weed Pro for my lawn needs,” says customer, Mitchell V.
Our employees are experienced technicians that are well equipped with the resources and knowledge to service your lawn. “Jason (my lawn care technician) has done a really good job with our lawn. He is an experienced technician,” comments another customer, David F.
“Walt (my lawn care technician) has always been, and continues to be, an outstanding part of your team. He goes above and beyond our expectations--and we're fairly picky! Walt will come out on short notice to help us with a problem. He also has such a winning, friendly personality! We love Walt! !” says Cynthia L. from Westerville. We receive multiple comments like this one every day from our customers from all over Ohio about their lawn care technicians. We go above and beyond to give you the beautiful lawn you deserve. Customers are proud of their lawns and the relationships they’ve built in the Weed Pro family. “I would like to commend Dustin (my lawn care technician) and the extra care he has given my lawn so far this, my first year, of service. I am very pleased with the progress. I get compliments now!! !” Barbara H. from Lewis Center, OH tells our office. Find out for yourself and join the Weed Pro family!